Just like cooking and baking, brewing requires precise measurements for success. And the best way to do that for homebrewing is to measure in weight rather than cups or tablespoons because it’s more accurate. So if you’re ready to brew more precisely and be able to easily replicate complex recipes, the just as you’ve invested in other essential equipment, it’s time to invest in a digital brewing scale. Measuring how heavy an object is might sound simple, but the mechanics of a digital scale are more complicated than you may think. Why? Because weight is relative. Digital scales aren’t actually measuring the weight of the item so much as the pressure the item exerts on the load cell. Most of the brewing scales we use will only have one cell, which is made up of wires and strain gauges, while industrial scales can have between four and eight load cells. When you weigh your grains, hops, or adjuncts on a digital scale, those strain gauges in the load cell compress and generate a small electric charge. That information is converted to a digital format and sent to a microprocessor control unit, which analyzes the data and displays it as a measurement of weight. We really only care about two types of scales in homebrewing. The first is a tabletop or bench scale. If you already own a scale, chances are this is what you have. A tabletop is usually a flat scale. It trades some accuracy for portability and ease of use, but it’s still a solid choice for non-scientific weighing. However, these scales may struggle to accurately weigh heavier objects. Which brings us to the second important type of brewing scale: a crane scale. As the name implies, crane scales weigh objects hanging from a hook. The drawback is you need a loop or chain around whatever you’re weighing, but the bonus is crane scales can weigh much heavier objects more accurately. If you brew in smaller batches, you probably won’t need a crane scale, which can handle upwards of 100 pounds. But it’s good to know its there if you ever need it. Tabletop and crane scales aren’t the only types of scales out there, but they are the most common types of brewing scales you’ll work with. If you know your way around a brewing scale, feel free to skip ahead to our top 14 scales. If you’re new to measuring anything other than yourself on a bathroom scale, stick around. When you use a digital scale for your brewing ingredients, you’re not just throwing all your malt onto the scale. (Think of how messy that would be.) You need a vessel to hold whatever you’re measuring while not measuring the vessel at the same time. This calibration process is called taring. Basically, you’re zeroing out the scale so it weighs only the ingredients and not the vessel. Look for a digital scale with a tare option—it means less math for you. Unless you’re into some seriously small batch brewing, you can skip the super-fancy scales that measure by extremely tiny amounts like micrograms. Even when you’re dealing with flavor additions, you probably don’t need anything that can measure under a gram—although the option is both common and relatively inexpensive. You do, however, need to be conscious of your scale’s capacity. We typically measure our grains by the pound. Scales become less accurate if you weigh above the recommended range. So make sure to take note of the typical weight of grains in your recipes before buying a scale. Remember, it’s better to be under than over. If you’re using a typical kitchen scale to measure your grains, chances are you’re measuring in batches. But if you’re not? Well, if your recipe calls for 8.5 pounds of grain, and your kitchen scale capacity is five pounds, your measurements will most likely be inaccurate. Because we tend to measure grains in pounds rather than grams or ounces, you need a scale that can weigh heavier objects accurately. Another consideration when counting grains is a larger plate, so you can fit whatever vessel you’re using to hold the grain without blocking the digital readout. Never wonder whether you’re reading weight wrong again. 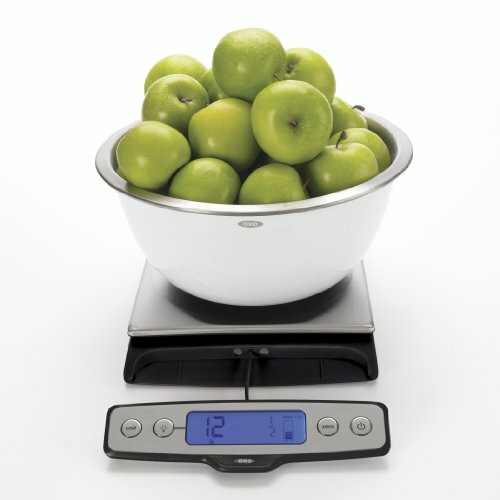 You can pull the backlit digital display away from the scale so large plates or bowls don’t hide your measurements. Between that and a larger base, the OXO scale If you click this link and make a purchase, we earn a commission at no additional cost to you. is great for measuring grains in ounces, pounds, and grams. You can also measure water in milliliters and cups. Running on AAA batteries, this 22-pound capacity scale is easy to maintain. With a large plate and an easy-to-clean glass surface, the Escali Arti scale If you click this link and make a purchase, we earn a commission at no additional cost to you. has enough space and capacity for all your grain measuring. It can handle up to 15 pounds and measures in grams, pounds, and ounces. And if you can’t see the display because of a large bowl, simply hit the Hold button and move the bowl to check the weight. 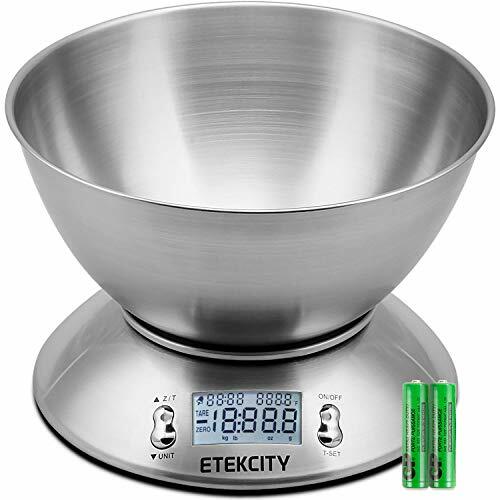 Precisely measure up to 11 pounds of grain with the Etekcity food scale If you click this link and make a purchase, we earn a commission at no additional cost to you. . It displays weight in grams, pounds, and ounces, as well as the temperature. Yeah, you read that right. 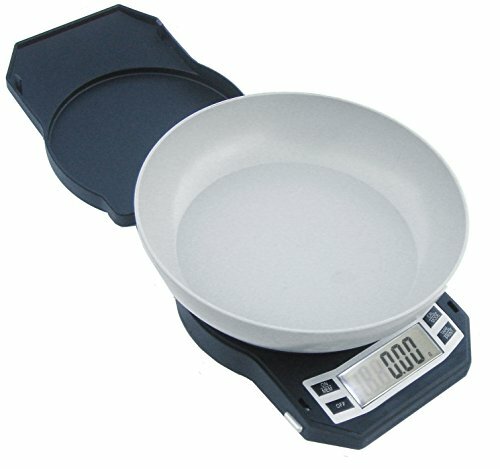 This scale also comes with a detachable, 2.15 liter bowl that fits directly on the scale. 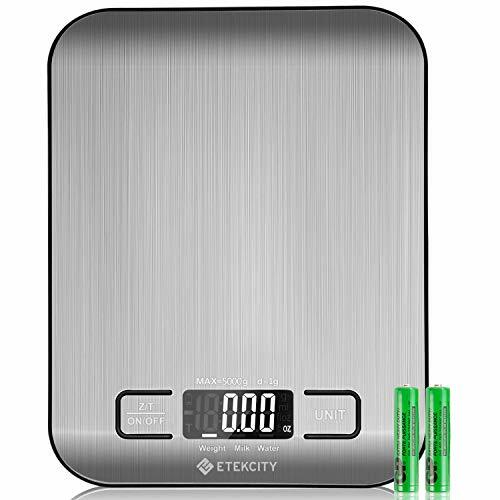 The Etekcity will alert you to low batteries and if you overload the scale, plus it has a simple tare function. 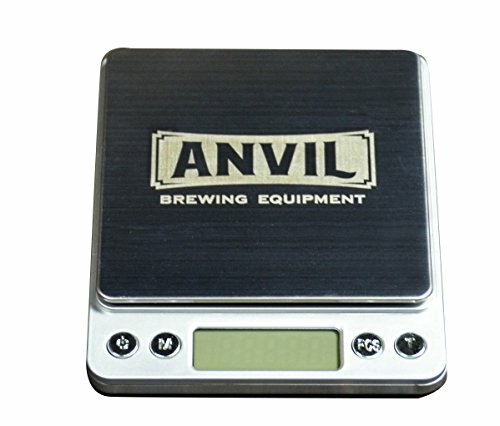 If you pack away your homebrewing equipment after every session, the American Weigh digital hanging scale If you click this link and make a purchase, we earn a commission at no additional cost to you. might be the right scale for you. It easily fits in your hand, but can measure up to 110 pounds. The American Weigh calculates pounds, kilograms, and ounces. Remember, you need a hook or ring on the vessel you’re using to measure grain to accurately use this scale. We tend to measure hops in grams, since we use much smaller quantities of pellets compared to grains. So, instead of higher weight limits, we’re looking for more precise measurement. That’s not to say scales that only measure in pounds and grams are bad options; it’s just something to consider if you want higher accuracy. You probably don’t need a scale that measures anything below a gram (unless you’re doing some crazy flavor concoctions), but some of our favorite scales do just that. So you want to go crazy with your brewing scale measurements. Anvil’s small scale If you click this link and make a purchase, we earn a commission at no additional cost to you. might be right up your alley. The weighing surface is only four by four inches and can handle between 0.005 ounces (0.1 grams) and 4.4 pounds. The low weight and high precision make it great for measuring salt, hops, spices, and specialty grains. It also comes with batteries, a sample tray, and a protective cover. With a stainless steel platform measuring four by four inches, the American Weigh digital pocket scale If you click this link and make a purchase, we earn a commission at no additional cost to you. can handle all your hop pellet measurements. It can measure as little as 0.1 grams and as much as four pounds. The backlit LCD screen makes all your measurements easy to read. Like other American Weigh scales, you can register your device for a ten-year limited manufacturer warranty. 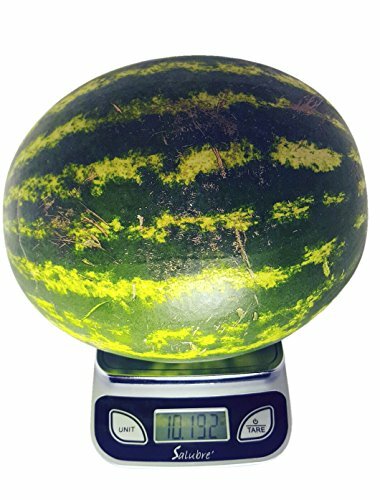 The compact body of this Escali scale If you click this link and make a purchase, we earn a commission at no additional cost to you. might look innocuous, but it can precisely weigh between one gram and 11 pounds. With only two buttons, it’s an easy-to-operate brewing scale for hops. You can’t submerge it in water, but the buttons and LCD display are sealed with a protective coating to make it safe and easy to wipe clean. Escali runs on AA batteries and offers a lifetime warranty against defects under normal use. If you’re short on space, the Smart Weigh pocket scale If you click this link and make a purchase, we earn a commission at no additional cost to you. is the perfect fit for any counter. The plate is small, but it can accurately measure hops between 0.1 grams and 1.3 pounds. It’s set in its own protective cover, which has a quick user guide on how to operate, tare, and adjust the calibration. 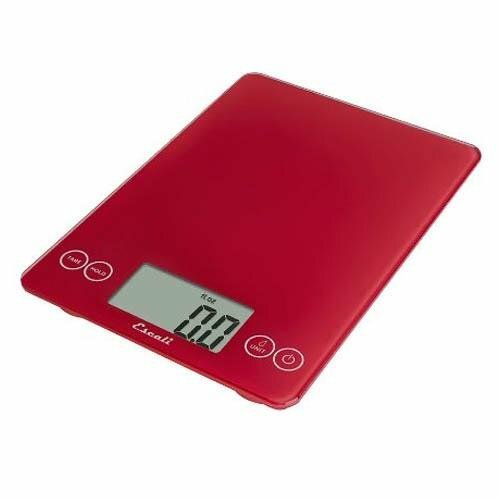 Better for measuring anything under one pound, the American Weigh digital kitchen scale If you click this link and make a purchase, we earn a commission at no additional cost to you. has a resolution of 0.01 grams. The units include grams, ounces, and pennyweight (not that you need it). 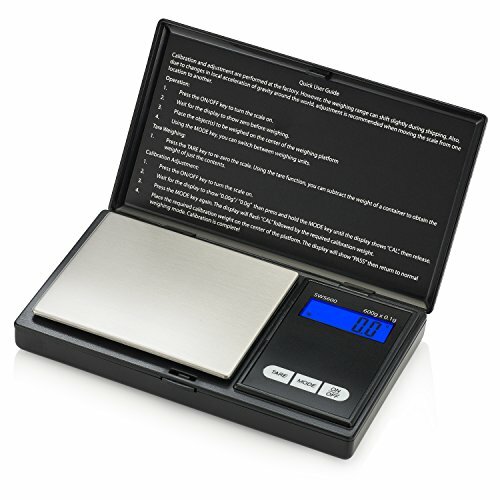 This scale is AA battery powered, includes calibration weights, and a ten-year limited warranty from the manufacturer when you register. So you work with adjuncts—spices, fruits, or vegetables, or barley, rye and other specialized grains . 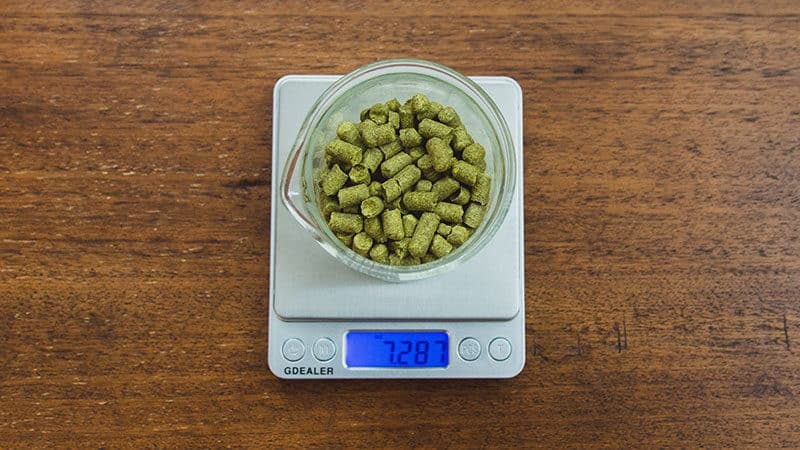 You could buy two scales for light and heavy ingredients, or you could find just one multipurpose brewing scale that could even work for hops too. 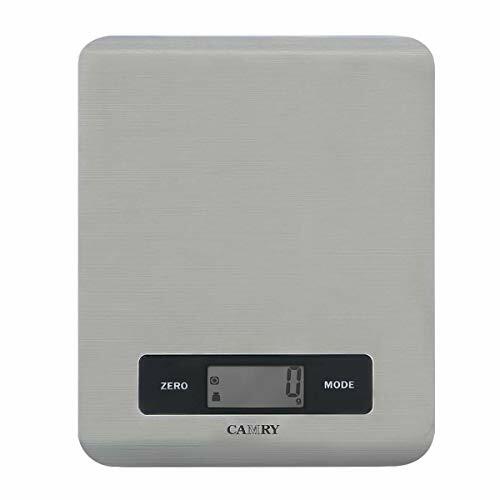 Small enough to fit in your kitchen drawer, the Etekcity digital multifunction scale If you click this link and make a purchase, we earn a commission at no additional cost to you. is a slim and sleek way to weigh your adjuncts. It measures grams, ounces, and milliliters, plus it features a simple tare function and low battery indicator so you’ll never be caught without a scale. This stainless steel scale would make a great brewing scale for any homebrewer short on space. 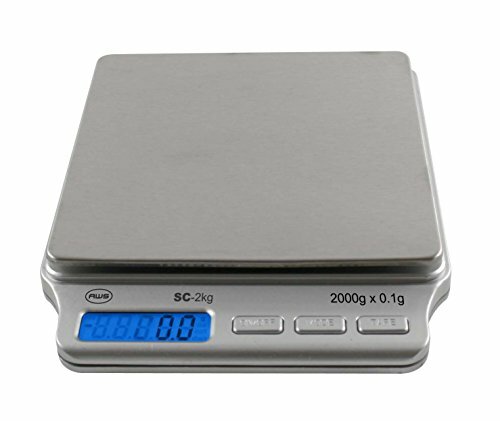 Its weight capacity is between one gram and 11 pounds so, if you brew in small batches, this could be a perfect scale for you. Measuring in ounces, fluid ounces, and grams, the Camry scale If you click this link and make a purchase, we earn a commission at no additional cost to you. has a compact, stainless steel design with a capacity between one gram and 11 pounds. You don’t have to worry about fiddling with buttons; it has simple zero and mode buttons to tare your scale and change the weight units. Battery operated, it also automatically turns off after two minutes of inactivity to conserve energy. 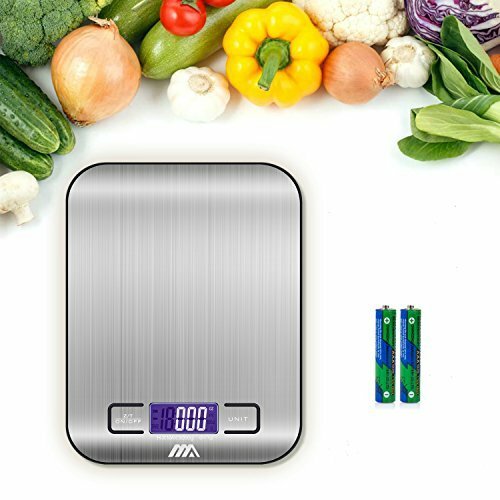 Made of a metal alloy, the REM Concepts digital scale If you click this link and make a purchase, we earn a commission at no additional cost to you. can weigh ounces, grams, and milliliters. Instead of changing the measurement unit every time the scale turns off, it remembers your last selection. This scale automatically shuts down after two minutes of inactivity to extend the life of its AAA batteries. The scale also comes with a food-grade silicone trivet that fits the scale. 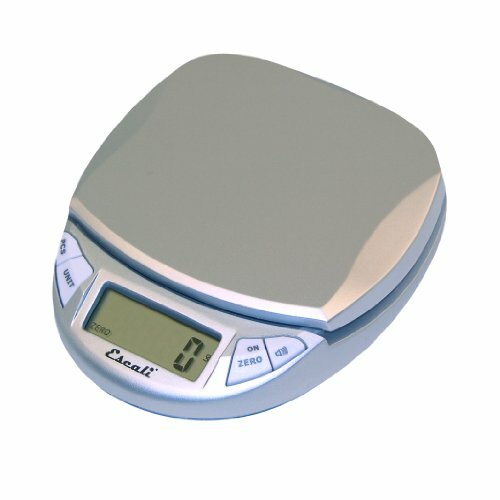 Great for adjuncts, this scale has a capacity between one gram and 11 pounds. With four high-precision sensors, the iHomy digital scale If you click this link and make a purchase, we earn a commission at no additional cost to you. can quickly measure adjuncts between one gram and 11 pounds. The platform is made with food-grade stainless steel, and it runs on AAA batteries. iHomy measures ounces, milliliters, pounds, and grams, plus it comes with a simple tare button. The manufacturer offers a one-year warranty for free replacement or a full refund, so it’s good for a test run. Your homebrewing toolkit isn’t complete without a digital scale. Remember, you don’t have to buy a dedicated brewing scale to get the job done. Just make sure you find a scale that meets the weight requirements of your recipes and you’ll be fine.